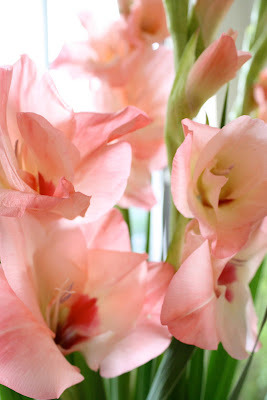 Don't you just love gladiolus?! They are one of my favourite flowers. OH! Thank you SOOOOOOOOOOOOO much!!!!!!! Hope you have a great day too! These flowers are beautiful! They brightened my morning!! Lovely flowers, the colour is beautiful!